Gioconda Belli ends her “memoir of love and war” with the electoral defeat of the Sandinista revolution and her subsequent move to the USA with her American husband, a journalist whom she’d met while he was covering the Nicaraguan conflict. As she points out, this transition represents the culmination of something like a personal “revolution” in the old-fashioned (and original) sense of a return to the former state of things: “Had my life come full circle? (358). Indeed, when she arrives in Los Angeles and moves into “a house that was exactly like the homes of all [her] teenage friends in Managua: one-story, 1960s-style, with straight lines, a yard in the back,” she muses that she “felt like [she] was back in the past after such a long, circuitous trip through so many other dimensions. [. . .] Funny, I thought, that my life would take such twists and turns. But I remained the same” (362). What, however, does it mean to “remain the same” in this context? For no sooner does she note the remarkable similarities between the US West Coast and the tranquil suburbia of her own privileged childhood than she also starts to mark the differences between North and Central American cultures. When the Santa Monica earthquake hits in 1994, for instance, she observes that her neighbours “shared a legacy of civic trust and public safety that [she] completely lacked” (364). Whereas they “were confident that their houses were well built, that the firemen would always answer their call, that the police were there to help them,” by contrast she “was frightened by the possibility of anarchy and chaos” (365). Or, rather less flatteringly to the US, she notes the “tanned, muscular men and women” around her, devoted to “healthy diets” and personal self-discipline (366), and she waxes nostalgic about the energies that, in Nicaragua, she has spent in pursuit of a collective project, “the exaltation and joy that comes from joining others in the effort to change the world” (367). Seeing her fellow citizens “with bottles of Evian water tucked under their arms” she thinks back to the days when she “transported weapons, carried a machine gun on [her] shoulder” and asks herself “if [she is] the same person.” “I can’t help but wonder,” she writes, “if a stroke of fate granted me not one but two lives” (366). A memoir tends to assume–better yet, it actively constructs–a unitary subject, the first-person “I” that stitches together a diverse range of experiences and unites them under the sign of the same grammatical subject. But this is a memoir about a self that, more than many others, frequently flirts with dissolution and division. Or rather, perhaps, with multiplication: not one, but two; not even two, but many. Indeed, at the very outset of the book Belli notes that it was her “destiny to be drawn to the warmth of the crowds” (ix). And it is this impulse that perhaps explains both aspects of what is from the start a dual autobiography: of love and war. For her “response to the multitude” leads her to seek to break out of the stifling cocoon of bourgeois feminine comfort in which she is raised, and (as she puts it) to be “attracted to the world of men, biological functions and domestic life notwithstanding” (ix). Her twin passions, then, are political activism and, well, passion itself. For this is an account of her involvement with the revolution by way of a series of romantic relationships with the powerful men who lead it. Yet these two impulses are as likely to tear her apart as they are to reinforce or strengthen each other. To take only the most dramatic example: the initial triumph of the Revolution in July 1979 almost passes Belli by. For she is involved in a somewhat torrid affair with a senior Sandinista comandante, “Modesto” (Henry Ruíz), who forms part of the initial National Directorate, and she finds that her “obsession” for him “possessed [her] and robbed [her] of the elation and novelty of that period.” As she puts it: “I did not breathe in the crisp, fresh air of rebirth that was pervasive in those first few weeks. [. . .] Such maddening, all-encompassing love monopolized all my senses and robbed me of energy” (259). Yet soon and unsurprisingly enough, as part of a litany of accounts of the ways in which revolutionary men take women for granted, Modesto discards her. Ultimately, she doesn’t fit his image. So just as the “real revolution” then begins with the first literacy crusade, so Belli’s own personal revolution (now in the sense of change, rather than restoration) can only truly be launched once she realizes that her “love for him was like a disease that was slowly consuming [her, that] if [she] didn’t exorcise him from [her] body, [her] identity would slowly burn away into nothing” (288). Ultimately, what’s interesting about this book is the way in which it remains torn, incomplete or (perhaps better) excessive. Belli tells us at almost the same time both that her goal is “reconciling [her] two lives” (x) and that she has “discovered the joy that comes from surrendering the ‘I’ and embracing the ‘we'” (xi). I rather doubt both these propositions, however serene (or sometimes more banally self-justifying) the net her recollections cast over her past adventures. There is in fact as much anxiety as joy over the dissolution or multiplication of the self. And there is much here that is unresolved, even unexplored or insufficiently analyzed. We don’t, in the end, get all that far “under [Belli’s] skin,” or rather what is presented as depth is too often sentimental and glib. But she knows this. Or perhaps it is the book itself that betrays her and stands as evidence that the revolution with all its threatening disarray continues, la lucha sigue. See also seduction; Revolution: A Practical Guide. 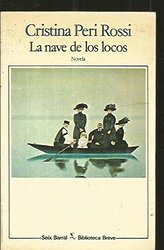 Just under halfway through Cristina Peri Rossi’s La nave de los locos it seems for a while as though the various voyages that comprise the book may be coming to an end. The book’s main character, X, finds himself on “an island, in M., full of tropical vegetation [. . .]. The town at which X arrived had a mystical name: Pueblo de Dios” (74). Indeed, this verdant tropical paradise is a place where plenty of former wanderers end up: the astronaut, Gordon, for instance, who has voyaged to the moon and now “on earth [. . .] feel[s] lost” (109). As X notes in a conversation with Gordon, “We are all exiles from something or someone. [. . .] In reality, that’s man’s true condition” (106). But Pueblo de Dios (God’s Town or God’s People) would seem to be a place where all such exiles can gather and feel (almost) at home, thanks to the hospitality of other exiles, and even of the local animals. When X is first there a puppy comes up to him and “X felt very grateful; in all his voyages he had arrived as various cities and countries, but nobody had ever come out to greet him, or smiled with satisfaction at the foreigner” (75). This a place where the language spoken is “a combination of odd tongues, which taken together make up a sentence and a prayer” (97). And it is here where X settles down as part of a strange but apparently harmonious little group: Morris, a writer and collector of maps, pipes, and old books; Graciela, a young woman whom X exalts idealistically and nostalgically as an uncontaminated being from an epoch “before there was pollution [. . .] before there was plastic, orthopedics, petrol, and yachts” (89); and, to complete the menagerie, there is Stanley, the dog, and Felix, a talking parrot (115). But Pueblo de Dios turns out to offer only a brief intermission in the group’s incessant wanderings. Soon enough a letter comes from “the metropolis or the Great Navel,” instructing Morris to leave for the sake of his own, somewhat unspecified, interests that turn out to concern the publication of his book. Off he goes, and the community starts to unravel. Here, then, it’s the editor who seems to see things more clearly. It appears that, at least in her case, the problems of the Great Navel have nothing to do with ideology: she sees how things are, and the ridiculousness of sexual difference premised on supposed essences, but she also reckons that these are the rules of the game and cynically goes along with them. Morris’s Romanticism–his concerns about betraying the “essence” of his work–is out of place. Perhaps this is why Morris (and subsequently both X and Graciela) have to be displaced, yet again, from the Island. Pueblo de Dios is a respite, but it offers what is ultimately only an illusory sense of order and harmony, much like the tapestry at Girona. The Great Navel, the metropolis, may not be all it claims to be. But it also debunks the pretensions to oneness and coherence to which the island’s exiles cling. In the end, as X also later finds, the answers (if answers there be) to the questions that preoccupy us and disturb our dreams are more likely to be found in the city, with its many layers of simulation, mimicry, cynicism, and artifice, not in some tropical utopia. There’s much to say about women and Wikipedia… for instance, about the so-called “gender gap” that (it is said) can be seen both among the encyclopedia’s editors, who are overwhelmingly male, as well as in the articles themselves, which tend to treat topics historically coded as male at greater length and with more seriousness than they cover topics associated with women. Indeed, a lot has been written about the topic, but one of the smartest commentators on these issues was Adrianne Wadewitz: see her HASTACS blog, and entries such as “Wikipedia’s gender gap and the complicated reality of systemic gender bias”. Wadewitz mentions what she calls “categorygate,” the furor sparked by Amanda Filipacchi’s New York Times Op-Ed: “Wikipedia’s Sexism Towards Women Novelists”. 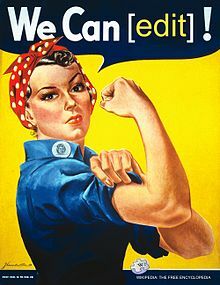 See also James Gleick’s article for the New York Review of Books blog: “Wikipedia’s Women Problem”. This disparity between the treatment of (women) writers on the two Wikipedias is, of course, partly for linguistic reasons, stemming from differences between English and Spanish. But only partly. And in any case, why should such different ways of encoding gendered identities within language remain sacrosanct? And so Teresa de la Parra’s novel ends as the title always indicated that it would: with a sacrifice, and a willing one at that. María Eugenia has at least two opportunities to avoid her fate of an unhappy marriage with César Leal, which she variously describes as a “death sentence” and “hidden slavery” (336). She could take the risky route of eloping with her former suitor Gabriel Olmedo, whose impassioned letter urges her towards an early-morning street-corner assignation, from which he would whisk her to the port and a steamship and on to a voyage of discovery through Europe. She seems about to take up this option, but hesitates as she runs into Aunt Clara while seeking out a suitcase in the darkened house. Then her second chance to escape her fearful destiny comes when, shortly afterwards, she summons Leal to see her, determined to break off the engagement. She has her speech ready: “In the past few days while you have not been here, I have confirmed that I do not love you enough to marry you [. . .]” (331). When the time comes, however, she cannot bring herself to say these words. And again, Aunt Clara has something to do with her unwillingness to follow through: she imagines herself like her, an “old maid,” her beauty long gone and dependent on Uncle Eduardo. At least with Leal she would have a house of her own, a place of asylum. In any case, the truth is that her fiancé barely lets her get a word in edgewise: his voice is “full of energy and absolutely clear, always knowing what he wants and always saying exactly what he has to” (332). 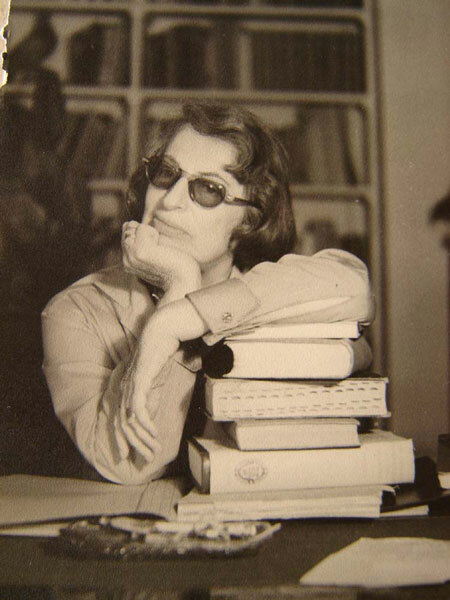 By contrast, María Eugenia ends up without a voice at all: ”he didn’t let me speak, and as he carried on explaining things to me so loquaciously, I didn’t say another syllable, but set to watching him as I sat mute, perplexed, and absent” (333). Far from being the protagonist of the novel of her own life (as she had, at the outset, excitedly exclaimed to her friend Cristina), she is now at best a bystander, at worst a victim of decisions made by others. She has been an object for some time: a commodity for sale. Now, however, she faces the horror of being an object aware of her objectification and the treatment she is undergoing, but without the chance of calling out or doing anything about it. Like the nightmare of the patient on the operating table whose anaesthetic has failed but who cannot move a muscle, any self-awareness she has won only makes everything worse. Of course, in theory María Eugenia’s options remain open as the book comes to a close: the wedding with Leal is still a week away, and Olmedo, rejecting her negative response to his suggestion as a sham, seems to be offering her one more chance. But one can hardly imagine her making such choices. Indeed, one can hardly imagine her making any choices of any significance at all. 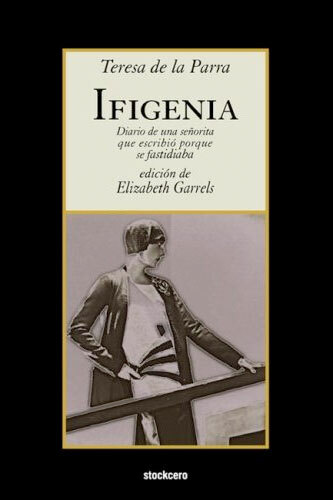 To put this another way: if the traditional Bildungsroman is a narrative detailing the birth of the adult subject, through trial and error, experience and gradual self-knowledge, Ifigenia is better described as an inversion of the genre. Here we have a subjectivity that is almost comprehensively dismantled, that enters into utter crisis; and the only knowledge that María Eugenia seems to have gained about herself is the fact of her own unknowability, the otherness that haunts her and that, at the crucial moment, “spoke through my own mouth, took my destiny in its claws, [and] cruelly destroyed it” (328). More broadly, this is a tale of psychic disintegration; as such, it perhaps has more in common with ”The Yellow Wallpaper” than would first appear to be the case. In other words, the essence of María Eugenia’s tragedy has little to do with the fact that she does not (cannot) elope with Gabriel: his paean to natural rights and Romantic freedom hardly disguises the fact that the choice he’s offering her is merely between two forms of patriarchal subjugation. Our would-be heroine’s tragedy, rather, concerns the nearly catatonic state, dominated by fear and anxiety, to which she succumbs by the end. She is unable to achieve liberal subjectivity and personhood, and at the same time has failed to establish any alternative path. She has failed, for instance, to write her way out of her predicament: the literary project that at first seemed to offer some kind of liberation finally loses its way. María Eugenia tells us that this novel’s final chapter is also her adieu to writing: it’s the “final page of [her] spiritual life” (315). What had begun as gossipy and jocular confidences to a far-flung friend has by the end taken on the tone of a suicide note: when she drops the suitcase, signifying that eloping is no longer an option, she describes herself as “forsaken and suicidal” (329); later she says she is “pale, lifeless, hollow-eyed, almost ugly” (331; of course, that “almost” indicates the hook with which her anxiety has snared her). This novel that is obsessed with the idea of “life” in all its various connotations (a span of time as well as a form of intensity) ends up being the tale of a woman consigned to what Giorgio Agamben calls “bare life.” This is the sacrificial logic of the modern-day Iphigenia, who chooses oblivion only because all other choices are impossible or unimaginable, and what remains is mere habit. It turns out that writing can be addictive. Teresa de la Parra’s heroine, María Eugenia, finishes off her long letter to her friend Cristina de Iturbide, only immediately to then embark on a diary however much she thinks (as she tells us) that this is “a great foolishness, [. . .] a kitsch Romanticism, out of date and very much out of fashion” (83). For someone who values fashion and being fashionable as much as María Eugenia does, it’s quite something that she should take up a practice that’s so clearly unfashionable. She can barely even give a name to what she’s doing: “it will be like what in novels they call a ‘diary’” (83). But the urge to write is stronger than the desire to keep up with the latest trends. It’s as though she can’t help herself: once she’s taken up the pen, she can’t put it down. It’s not fully in her control. What follows, and what therefore opens the diary, is a reflection on how what we think (our convictions) and what we do (our conduct) can get out of synch. You would have thought that conviction and conduct should go hand in hand: we think something, and then we act on our thoughts. But far from it. María Eugenia thinks to write a diary is kitsch and passé, but she does it anyway: writing has become a custom or “habit” (84), and habits are hard to kick. But there are other ways and other reasons for there to be a slippage between belief and behavior: our actions may be only “acting,” for instance; a performance that doesn’t necessarily reveal our true natures. We act otherwise than we feel for motives both good and bad, and at times it can be hard to tell the difference: we might be trying to deceive or merely trying to fit in; we may be being underhand, or simply polite. Or we may feel ashamed about some secret that we feel the need to hide, so as not to expose ourselves to ridicule or humiliation. All these situations, and more, are explored in Ifigenia. For instance, María Eugenia confesses (if only to herself, in her diary) that lying has also become a habit, which has taken root in her with surprising “speed and reach” (97). Hence she has few qualms about telling her grandmother that she and her new friend, Mercedes Galindo, will be dining alone when in fact the whole purpose of the dinner is to meet the long-awaited Gabriel Olmedo, who has been set up as a potential suitor. One might ask, moreover, of the habit of dissimulating and the habit of writing are not connected in some way: however much María Eugenia began her letter to Cristina with the assertion that she couldn’t lie when she wrote (3), it has become clear that there’s nothing straightforward about putting something down on paper, not least when almost all the terms and feelings are somehow themselves borrowed from literary sources. Take for instance the love letter that is embedded within María Eugenia’s diary. This is a missive that she spontaneously decides to compose, while out and about with her young cousin Pedro José (Perucho). She addresses it to Olmedo, whom she has now met and with whom she has, so she believes, almost instantly fallen in love. And she writes it (much to her grandmother and aunt’s later distress) en plein air, with her knees for a desk, and “feverishly [. . . with] the mad sincerity of all those ardent and silent love letters that are never sent” (164). In theory, this should be the most honest of missives, written in the heat of the moment and without regard for audience or schoolroom niceties. But it turns out to be extraordinarily stylized and affected, with extended metaphors that compare her putative beloved alternatively to Jesus (“You are the sweet Messiah of my soul” ) and Solomon of the Song of Songs. Or put this another way: if María Eugenia were trying to avoid kitsch Romanticism, here she spectacularly fails. This most sincere and honest of letters is in fact the creation of supremely literary habits of reading. What’s more, it’s clearly also the product of a rather hyper-active imagination and fantasy of what it must be like to fall in love. When it turns out that Gabriel has gone off and gotten engaged to someone else, we can’t but think that (for now, at least) María Eugenia has dodged a bullet. So we have more than a mere slippage between thought and deed, emotion and expression, and more broadly essence and appearance. We have a thorough upending of all these overlapping distinctions. Performance and fidelity, fakery and authenticity, representation and the real, are all increasingly hard to tell apart, or rather increasingly seem to change places. Mercedes’s boudoir, to take another example, is both an intimate site for the exchange of confidences between women (such as Mercedes’s confession about her unhappy marriage) and also a cushion-filled imitation–or, better, fantasy–of some kind of Oriental antechamber. It’s a place where femininity is sacrosanct, but also where Mercedes and María Eugenia can try out otherwise “masculine” practices such as smoking a cigarette; it’s moreover a transitional space where femininity (and modernity) is itself constructed, through make-up and clothing and the like. In short, Teresa de la Parra is interested both in the psychic spatiality of transnational gender relations, trading off Paris with Caracas, writing and speech, public and private, ornament and utility, and so on, all around the basic division of inside and outside, essence and appearance. But she is equally concerned with the tipping points at which inside becomes outside, essence becomes appearance: the strategic moments when everything, however briefly, is turned inside-out, upside-down.